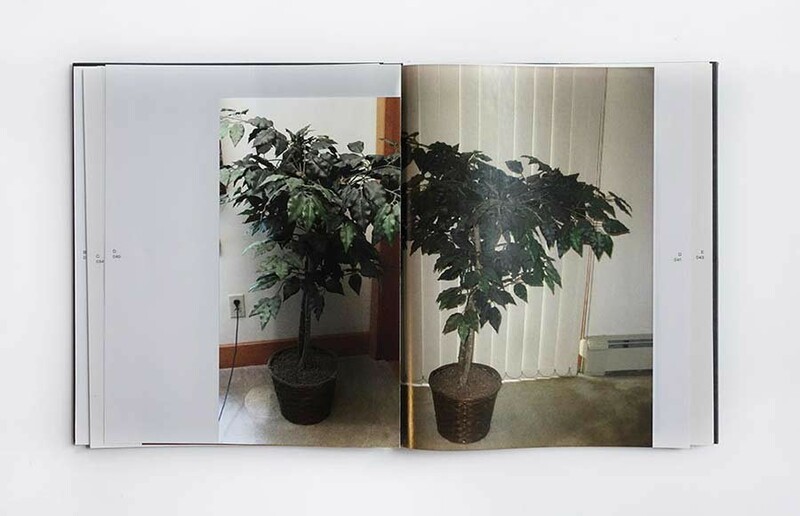 Out of Order: Used Office Desks and Used Office Plants for Sale is an exploration of modernist ideals in relation to the global financial crisis that began in 2008. In the midst of this emerging crisis, I began to notice large quantities of used office desks for sale on the web. These desks, once the definitive site of organization and productivity, now sat empty, dusty, and cumbersome - as awkward in their photographic frames as they were in the spaces they were pictured. Uncomfortably occupying the rectangular constraints of their offices these giant planar surfaces don’t fit nicely. The desk’s value - its reason for being - is hinged on its potential for facilitating productivity, and its form is a testament to ideologies of a clean, elegant modernist aesthetic. But in these pictures all efficiency, productivity and elegance is in question - the mere fact that the desk is out of commission, being sold, points to an attendant deflation of its value. Out of Order: Used Office Desks and Used Office Plants for Sale comprises images I found on office liquidations websites that buy the entire stock of furniture from offices going out of business. Among these offerings are the office plants whose job was to make office workers feel more human - to give them something to care for in these synthetic modular spaces. The indoor plant, by its very nature, is a Modern conception - an organic form molded to a modular, mass produced, industrial container (the pot), made widespread through industrial horticulture, and only viable indoors thanks to mechanically conditioned air. While working with these images, I began to think of the objects pictured in them as the aftermath and by-products of a disordered Modernism, at once infused with free market optimism and its dystopic result. The Risograph creates a grain texture which mixes with the pixel grid of the original image file. 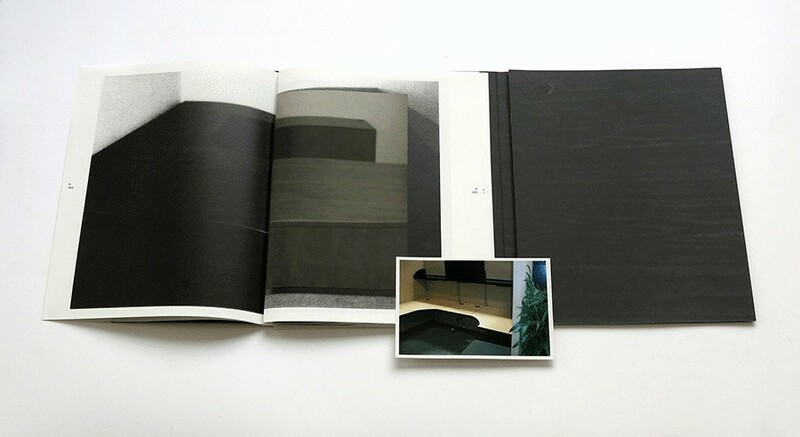 This formal hybridization of pixel and grain is further emphasized in the convergence of the flatness of the desks’ surfaces and the images’ picture plane, invoking a flattened geometric abstraction. I found these images of used office plants for sale on liquidation warehouses websites. I made c-prints to scale of the actual plants and propped them up with pieces of plexi-glass I had gathered from various scrap-yards and recycling sites (cast-offs potentially from the same failed businesses and corporations that the plants and desks are from). 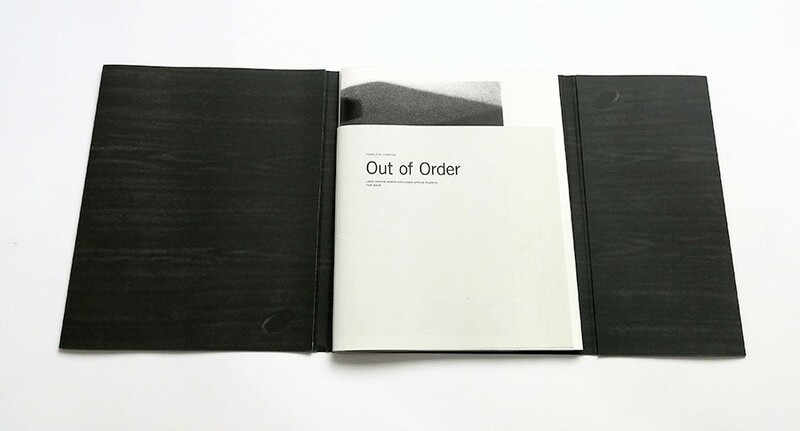 Out of Order: Used Office Desks and Used Office Plants for Sale, RVB Book, Paris, 2014 - the book is unbound so if one is not careful, the entire thing can fall apart while looking at/reading it. Out of Order (Cubicle Tile Game) - 15 images of cubicles for sale I found on office liquidation web-sites.